A wealthy Democratic congressional candidate opposes hydraulic fracturing in New York even as he profits from the practice in other states, newly released documents show. New York maintains a complete moratorium on fracking, as the innovative oil and gas extraction technique is commonly known, despite the fact that state regulators say it could create as many as 80,000 jobs in the state. 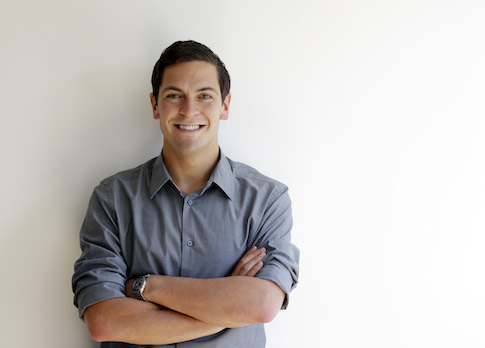 Sean Eldridge has acknowledged those potential benefits, but says he still opposes the practice. "I oppose fracking," he told a public radio host in the Hudson Valley. "I understand that we all want to see more jobs and more economic growth in our region, but I’m not convinced that we can frack safely." He added that experiences with the practice in other states have convinced him of fracking’s environmental pitfalls. "I don’t think we should be putting at risk our environment, our water, our land, for something like fracking," Eldridge said. However, Eldridge’s husband, Facebook cofounder and New Republic editor Chris Hughes, owns stakes worth as much as $1.35 million in oil companies that employ the practice. Those investments include between $500,000 and $1 million in oil giant ExxonMobil, between $100,000 and $250,000 in Halliburton, between $15,000 and $50,000 in Cabot Oil and Gas, and between $15,000 and $50,000 in Carrizo Oil And Gas, according to personal financial disclosure forms released on Thursday. Hughes received up to $51,203 in dividend payments from those investments in 2013 and 2014, according to the disclosures. Cabot has been a major player in the Marcellus Shale Formation in eastern Pennsylvania, which has seen a massive influx of natural gas extraction activity the state has embraced the practice’s economic potential. Pennsylvania has been held up as an example of the economic benefits that New York could enjoy if it lifted its fracking moratorium, which has been in place for six years. The administration of Gov. Andrew Cuomo (D.) has been criticized for slow-walking the regulatory process to avoid angering environmentalists in the state. Using data from Pennsylvania, a 2013 study by the Manhattan Institute’s Empire Center for New York State Policy estimated that, "over the past decade, had New York State counties on the Marcellus Shale been allowed to use these resources, economic growth would have been substantially higher." While Eldridge, through his husband, has benefitted from Cabot’s activities in the Marcellus—Cabot calls it "the cornerstone asset of its portfolio"—New York residents have not enjoyed the same economic boom. Like Cabot, Carrizo also fractures Marcellus Shale. It also operates in Texas’ Eagle Ford and Ohio’s Utica shale formations. Halliburton says it has operated in every major U.S. shale play. ExxonMobil is also highly active in shale formations. Both companies say they have been hydraulically fracturing rock formations for decades. Fracking has proved an economic windfall for companies that employ the practice and the communities and states in which they operate. While New York has not yet benefitted from the increased production that fracking allows, investors in companies that operate elsewhere are enjoying the benefits. Eldridge’s campaign did not return a request for comment on his husband’s investments in those companies. The campaign of his opponent, Rep. Chris Gibson (R., N.Y.), said information in Eldridge’s financial disclosures revealed a double standard. "This type of blatant hypocrisy shouldn't surprise anyone from the same candidate who supports raising energy taxes on the people he wants to represent and wants local taxpayers to finance elections while he continues to spend his own millions to run for office and in the Super PACs he creates," said Gibson spokeswoman Stephanie Valle. Eldridge obtained his millions through marriage: his husband’s net worth was estimated at more than $600 million last year. Republicans have accused Eldridge of using that fortune to try to buy good will in a district to which he is a new resident. Hughes and Eldridge moved to the district two years ago after foregoing a run for a nearby congressional seat. Eldridge’s venture capital firm, Hudson River Ventures, has poured millions of dollars into local businesses. Eldridge says it is an earnest effort to start a successful business in the area and to help finance promising community ventures. However, his critics say he is using the company as a de facto political operation. "While claiming to be free of corporate financing, Sean and his husband are heavily invested in everything from companies that make money off of fracking to drilling for oil," said Valle. "They then turn around and spend that same money on Sean's campaign or to buy another house from which to run for office." This entry was posted in Issues and tagged Chris Hughes, Fracking, Sean Eldridge. Bookmark the permalink.